OOOOOO – I have always LOVED pimento cheese – think I’ve only made it once ever though, but that’s about to change. Your sandwich looks sooo inviting, and I must try it soon. 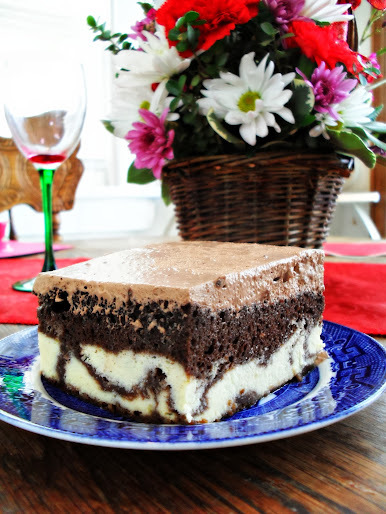 Adding to my grocery list to get what I need today to make this soon. Thanks for sharing. Yay, I hope you really enjoy it! I’m also going to try this – it sounds delicious. 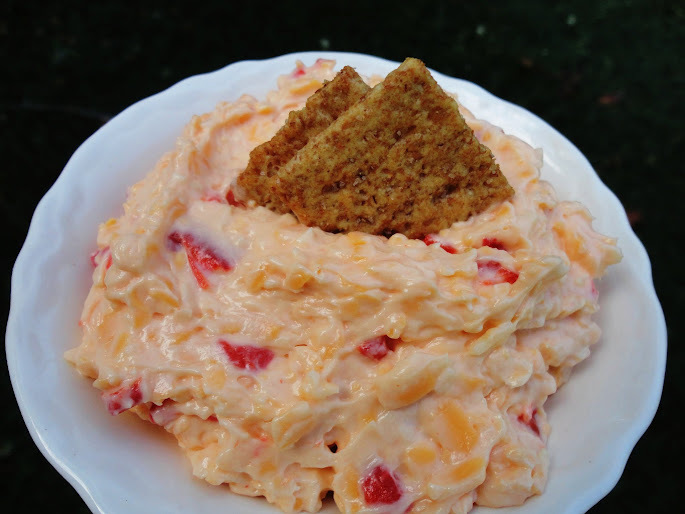 I can’t wait to try this pimento cheese recipe! Going to make your egg salad recipe today!!!! My Aunt Martha makes the best pimento cheese I’ve ever had – she shreds super sharp cheddar cheese and mixes everything by hand – so fricken good! I’ll have to make this for Tony – he loves this so much but I never think to make it for him. I think traditionally you only mix cheese and mayo and pimientos, so this is probably something real southerners would scoff at, but it is very good! I love pimento cheese, it is sooo good! I make one with puff pastry and you cut it into pinwheels and bake it. Yum! I like the addition of the parmesan in this recipe. I’m glad to hear that someone else liked pimento cheese as a kid as much as I did! This looks delicious and I needed a reminder about this great idea for lunch. Thanks Veronica! I have only had pimento a couple of times and really liked it. I never even thought to try and make it myself either, I know Tom would love it. The sandwich looks so tasty. I’ve never had homemade pimiento cheese. I will have to try this one! It looks super easy and delish! Here is a good recipe that i love cortsey of veronica’s cornucopa. Call me crazy but I have never had pimento cheese! DAMN I must try this soon, it does look very delicious! My childhood was sadly bereft of pimiento cheese. I should definitely make up for last time with this homemade version!! I always appreciate a good pimento cheese…I love it grilled with green tomatoes…YUM! OMgosh, I once grilled some on beer bread. Best grilled cheese ever! Green tomatoes? Sign me up! 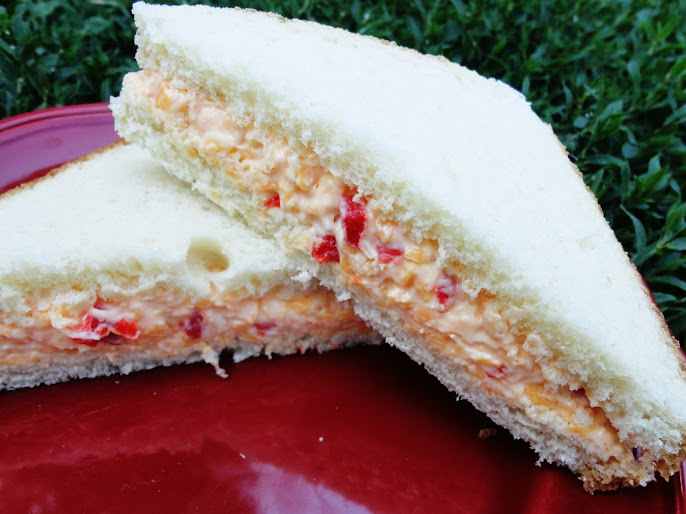 i haven’t liked pimento cheese until recently- but i totally want to make this. yum! I’ve never tried pimento cheese in my life! Now I know I need to. Adding to my list of recipes to try!! Thinking I’m craving some pimento cheese and remembered your recipe. Looks delish! So very good. This is my second time to use this recipe. Now it is my go to! I just dump everything in the food processor. No mess; no trouble! Best if it sits in the refrigerator for a day for the texture to be just right and the flavors to meld. Then the biggest problem is to not be eating it constantly.